If you’ve ever wanted to get the inside scoop on how to break into the world of freelance video game journalism, then this is your chance to back a project that’ll help you jump start your dream career. Last week I launched a Kickstarter campaign for my book Up Up Down Down Left WRITE – The Freelance Guide To Video Game Journalism. It had a killer first week, raising over $1,200 of its $7,000 goal. But then the influx of new backers died down to a light drizzle, then a trickle, and now it’s like the Sahara Desert over here. Not unexpected! 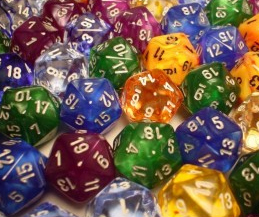 Most Kickstarters hit a lull after launch and then pick up momentum during the home stretch. I’m still pretty optimistic about everything, but I don’t intend to let this thing die on the vine mid-way, which is why I need your help THIS VERY SECOND! Read on for more nitty gritty on the Kickstarter campaign and how you can help. As of right now I’ve got 25 days to go. The project has 45 backers and is hovering at $1,289 of its $7,000 goal. Not too shabby. A few folks have adjusted their donations. Also not unexpected. The past few days have been very quiet on the new backer front. We’ve had one or two newcomers, but it’s at a lull right now. I’m working on lining up some press to help promote the project. There’s been a handful of great news blasts on gaming sites already, and there should be interviews and other things coming out in the next week or so. What about rewards? What’s new? Right now, if you just want to get an early copy of the book once it’s finished, you have a few different options. At the $15 backing tier you get the digital edition and some other goodies. At $35 you get a digital copy, some extra goodies, and a physical print copy of the book. At $50 you get print and digital versions, some extra goodies, and I’ll sign and personalize your print copy. There are tons of other funky reward tiers, ranging from the $1 of Awesome to a whopping $1,000 tier. And the higher you go the more interactive they get. This is the same as the basic $15 tier that gets you a digital copy of the book, digital downloads of my two chip music albums, and some other goodies, BUT, it also throws in a fun element of randomness into the mix. There are only 20 slots for this tier – one of each side on a d2o (20-sided dice for you non-D&D nerds out there). Once this tier is full, I’ll assign a number to each backer, roll a d20, and the person I roll gets a signed print copy of the book (which is otherwise reserved for the $50 tier). Wheee, fun! Right? I’ll also document the roll and process and post it as a backers-only update. We’ve got 4 out of 20 backers in this limited tier so far. C’mon! Bring it! Saving throw VS Awesomeness! 16 slots to go! Are you a tank, a thief, a wizard, a goblin alchemist? 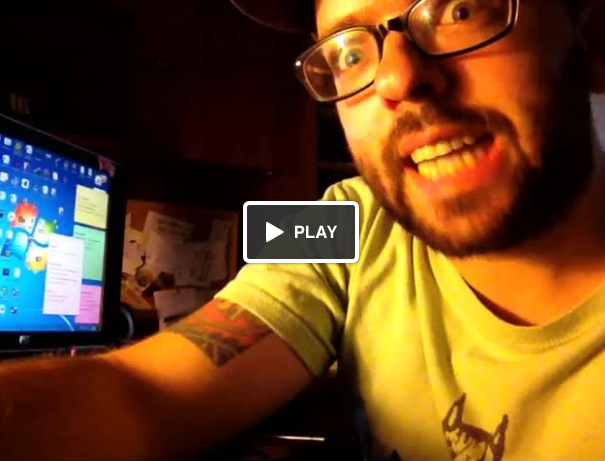 I’m rolling out some fun behind-the-scenes updates for backers throughout the whole campaign. For example, I recently posted a video of absurd outtakes and general shenanigans that I had cut out of my Kickstarter video. It’s pretty goofy. I’ll be posting other stuff for backers like cover sketch art, excerpts from work-in-progress chapters of the book, and more. I have a couple of BIG stretch goals I’m going to be unveiling in the next week or so, including a huge, meaty reward that ALL backers will get if the project hits a certain benchmark. When I get closer to the end of the campaign, I may also sweeten the pot substantially further if we can rocket past the $7,000 funding goal. Stay tuned for that stuff, because it will rocknroll. I’ve really appreciated everyone’s’ support so far, and it’s been great to see so many folks posting about the project on Twitter and spreading the word. That’s super awesome! Please keep that up, because it’s a big help. But what I also really need right now to push this project out of the danger zone and onto firmer ground is more BACKERS! Not backing Up Up Down Down Left WRITE makes Sad Panda very sad! 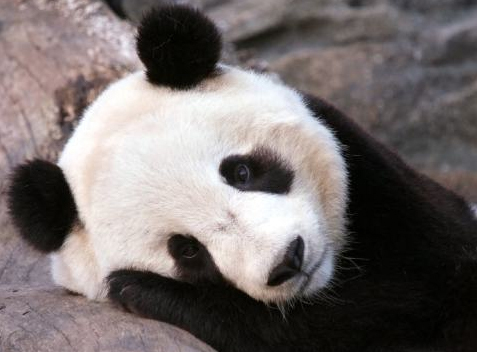 You want to make Sad Panda happy, right? He likes it when you back this book project. He smiles and poops cheerful rainbows every time we get a new backer. Awesome! But seriously. I’ve you’ve been on the fence or holding off, please consider taking the plunge and backing the book. I’ll be adding lots of good stuff in the coming weeks to make it even more worth everyone’s’ while. So let’s recap, what can I do to help? 2) If you write for a gaming site, get in touch with your news editor and pitch a news post, interview, or other piece on the project. If you have decision-making power to make that happen on your own, then awesome! Let’s do it up. I’m available for interviews and whatnot. Just get in touch. 3) Tweet, Facebook, and blab online about the project and how much you think it rocks (assuming you think it rocks). Also: include the link to the Kickstarter page. If you care enough to do this several times throughout the campaign, and particularly as we get closer to the big push at the end, that’d be great. 4) Write a blog post about the book and Kickstarter project. Short and sweet is fine. Anything that gets the word out. 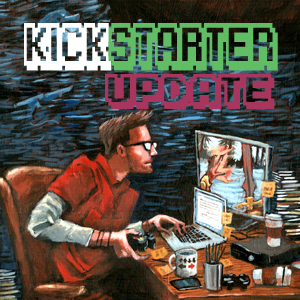 Feel free to steal cover art and intel from the Kickstarter page. 5) Chat about it with your peeps. 6) Errr….I guess that’s good enough for now! THANKS AGAIN EVERYONE! Let’s help spread the word and get this thing cooking! This entry was posted in Up Up Down Down Left WRITE and tagged advice, book, freelance, freelancing, game journalism, how to, kickstarter, nathan meunier, need backers, support, up up down down left write, writing by nmeunier. Bookmark the permalink.